1. The groups fighting against the copper mining are often not from this area! Water Legacy is from Minneapolis, they are cabin owners who don’t want to lose access to the cheap land and depressed prices that come with vacationing in a beautiful, but economically depressed region. If copper mining started up it would boost the economy and a rising tide raises all ship, but for cabin owners that would mean more taxes and more expensive beer when they come north. And it is better to harm an entire region than have to pay another dollar for a burger. Bald faced misinformation, that is the best way I can describe it. That and they are clueless about things like science. They paint every mine that has ever been put into production with the same brush and complain about the amount of pollution created when calling every scoop of soil moved pollution. When it comes to sulfide mining there are different types of sulfide deposits, most sulfide deposits are porphyry deposits are fluid deposited copper deposits which form in rock with water flow though it. The area they are looking at mining in Northern Minnesota is a Layered Mafic Intrusion, or more specifically it is the boundary between the layered intrusion and the existing bedrock which is largely sedimentary in nature. But the material to be mined is in the intrusion and not in the porous sedimentary rocks. Of course the clueless hippies wont, and quite frankly, due to a lack of working knowledge, can’t differentiate between the two types of deposits. 3. The opponents own information does not agree with what they are saying, but they have never actually read through it, so don’t know the difference. I was recently looking through one of the Water Legacy publications after one of the “clueless hippies” made a comment about how EVERY SULFIDE MINE FAILS TO LIVE UP TO ITS ENVIRONMENTAL PROMISES. That was a pretty bold statement and I thought I would look into it. It turns out the very Water Legacy document he was quoting listed the exception to that rule as a mine just south of Lake Superior that held true to its environmental statements. Of course that does not matter…. Despite it being the only mine in a similar formation. 4. I would be surprised if any of the people complaining about mining have ever been to an actual copper mine. I have, they are not some smoke belching place where nothing lives for a hundred miles. If we were not in the town specifically to visit the mine we would not have known it was there. And the mine in question was visible from space. 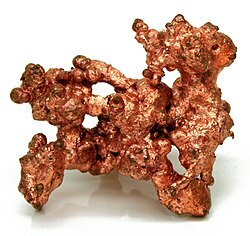 If you are on a computer, have plumbing in your house, have electricity, drive a car, have used a coin recently then you have used copper. 6. If you are looking for the largest source of sulfur in the Northern Hemisphere look out of the United States. Most of the Sulfide pollution in the northern hemisphere comes from one plant in the former Soviet Union, a good portion of the rest comes from China. When you shun environmentally controlled mines like the ones planned for Northern Minnesota then you allow operations like those to stay in business. Not a living tree within 30 miles of the smelter, hmmmm…. And 1 percent of global emissions of sulfur dioxide comes from here, by some estimates. 1% does not sound like a lot, but the vast majority of global sulfur comes from volcanism, so they are competing with every volcano on the planet.